Thank you Kathysue of Good Life of Design for sharing her latest discovery. O'verlays. 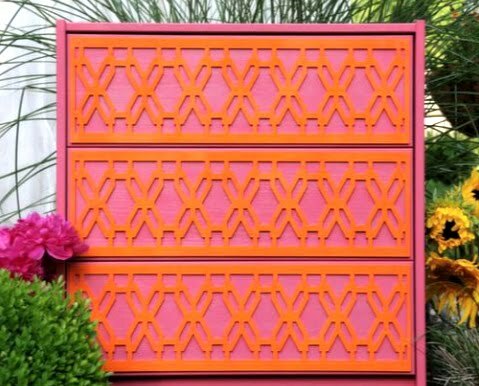 They are lightweight fretwork panels that can be applied to any plain surface to give it a quick and chic update. 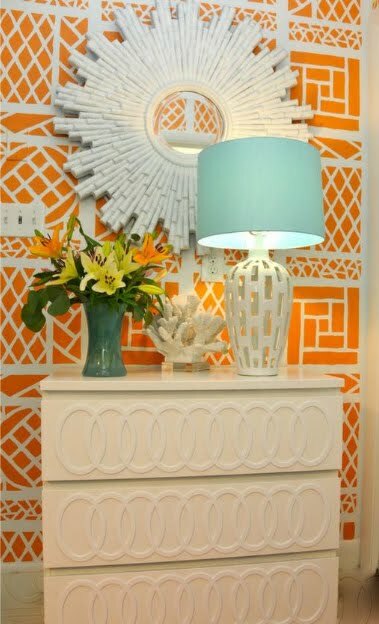 They work with most Ikea pieces, and can be painted so you can really customize the look of your furniture. 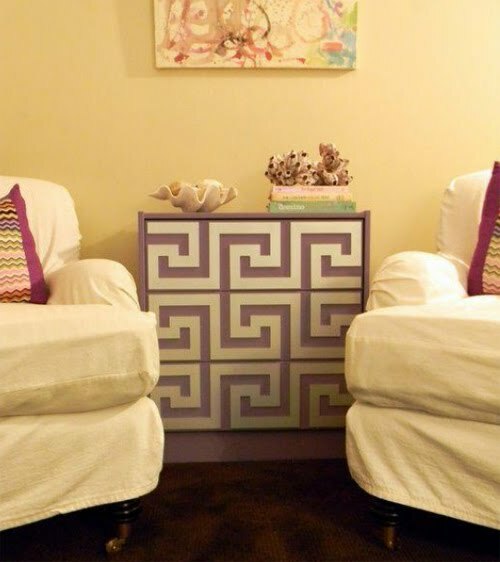 Even though I was delighted to discover this on Kathysue's blog, I was also kicking myself for not finding this before we started on our Greek Key mini bar. Don't get me wrong, I LOVE our mini bar but it did take a few days from start to finish and if I had known about O'verlays, it might've taken us less time and energy to create something just as nice. BUT, I don't care. I'm definitely going to try to use O'verlays in a future project if I can help it. They're just too fantastic not too. 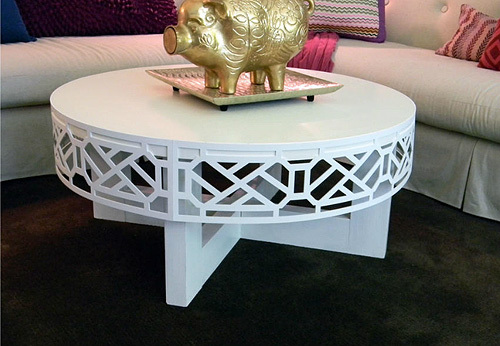 A great way to embellish a modern coffee table. 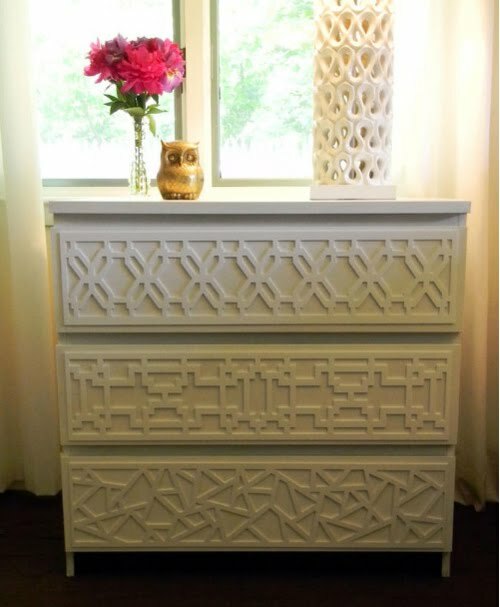 Love how 3 different types of O'verlays are used on this dresser. Creates such visual interest, and even though the designs are different from one another, they all seem to work together because of the common color, white. Thanks for visiting my blog. I love o'verlays. such a cool product! đây chính là một trong những trấn điếm chi bảo của chúng ta. Ta thấy thiếu gia ngài là người hữu duyên, nên bán với giá tiện nghi, hai vạn đồng tiền nhỏ, thế nào?